obj = setBudget(obj,LowerBudget) sets up budget constraints for Portfolio, PortfolioCVaR, or PortfolioMAD objects. For details on the respective workflows when using these different objects, see Portfolio Object Workflow, PortfolioCVaR Object Workflow, and PortfolioMAD Object Workflow. obj = setBudget(obj,LowerBudget,UpperBudget) sets up budget constraints for portfolio objects with an additional option for UpperBudget. Assume you have a fund that permits up to 10% leverage, which means that your portfolio can be from 100% to 110% invested in risky assets. Given a Portfolio object p, set the budget constraint. Assume you have a fund that permits up to 10% leverage, which means that your portfolio can be from 100% to 110% invested in risky assets. Given a CVaR portfolio object p, set the budget constraint. Assume you have a fund that permits up to 10% leverage, which means that your portfolio can be from 100% to 110% invested in risky assets. Given PortfolioMAD object p, set the budget constraint. 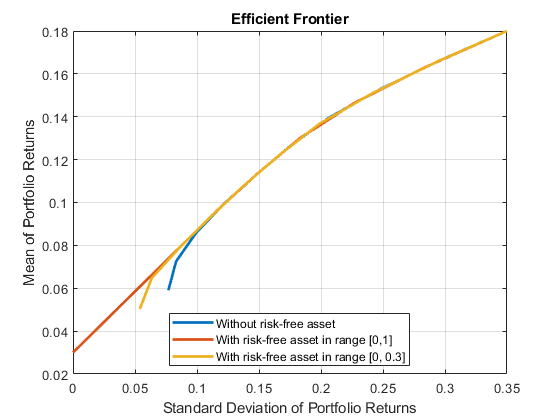 Define mean and covariance of risk asset returns. 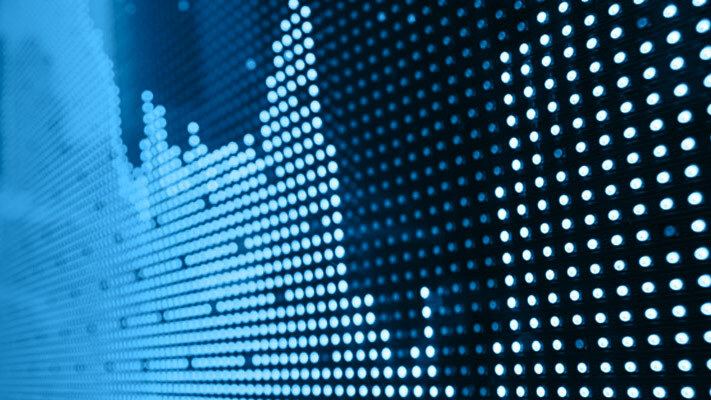 Create a Portfolio object defining the risk-free rate. Create multiple Portfolio objects with different budgets on risky assets. By defining the risky assets, you can control how much is invested in a risk-free asset. setBudget defines the bound for total weights for the allocated risky assets, and the remaining is automatically the bound for a risk-free asset. Use setBudget to control the level of allowed allocation to a risk-free asset. For additional information on using setBudget with a risk-free asset, see Leverage in Portfolio Optimization with a Risk-Free Asset. Lower-bound for budget constraint, specified as a scalar for a Portfolio, PortfolioCVaR, or PortfolioMAD input object (obj). Upper-bound for budget constraint, specified as a scalar for a Portfolio, PortfolioCVaR, or PortfolioMAD input object (obj). You can also use dot notation to set up the budget constraints.